Dr. chalfant is an incredible doctor and I have had the good fortune of knowing him for 5 years now. HE has a ton of experience and is a very versatile doctor, he will keep working until he figures out what is the root cause of your issues. he is not the kind of doctor who would over treat someone and string them along for months. he always does what he thinks is medically necessary, and if he doesn't see the results he wants he will refer you to the right person who can help you meet your goals. he is always open and friendly and you never feel rushed with him. Dr Trev is always available to answer your questions and he is a wealth of knowledge. I would recommend anyone who is looking for a chiropractor to him. DOC CHALFANT is the best! I cannot say enough good things about Dr. Trevor, and I am a very hard person to please or impress, but he's done it hands down! A bit of back history, I do sporting events with my dogs, one was off after his last event for 2 weeks. I took him to my vet (which is amazing) but even after natural joint supplements, daily massage and range of motion exercise, Hermes was still off - better but NOT 100%. After having Dr. Trevor work on two of my other dogs (more maintenance type of adjustments for an event that was coming up) I figured I'd give him a shot on my gimpy limpy boy. Hermes walked in to Chalfant family chiropractic noticeably favoring that one leg, walked out without that obvious limp and did full body shakes which he hadn't done since the initial tumble that caused everything. I took him back a couple days later for a second adjustment and my boy is his happy, bouncy, totally perfect self again! With seeing such great results I decided to have the Dr. adjust me too. I have chronic pain (neck, shoulders, lower back, tail bone) which prevents normal sleep and makes most activities (even mopping) terribly painful. I've not had normal range of motion in my neck for years, and that's just how I have to live short of getting the spinal injections which are merely a short term band-aid with high risk ... I thought wrong! I now can touch my chin to my chest, look up without feeling excruciating stabbing pain, and turn side to side much better. I'm a believer in Dr. Trevor and highly recommend him!!!! Fun fact: he shares good recommendations about food around Indy and places to walk my dog. Both of you are amazing! I am very impressed with your setup. I love your open-mindedness towards health. What a powerful team you both are together! Thanks for listening to me today for 4 hours!! Dr. Chalfant is easy on the eyes. Doctor Chalfant is FABULOUS! He treats our whole family! - R.C. My first appointment with Dr. Chalfant was over 2 years ago in a different office, when I had terrible sciatica. He handled my problem easily and even got on the floor to show me stretches to do at home! <3 In addition to being a very competent chiropractor, I found him honest and non-salesy--which matters a lot to me. He recommended where to buy items that would help me cheaper than his last office selling me over priced DME. This year - I had a random problem with my vestibular center. After making sure it wasn't something serious, I came to Dr. Chalfant. Although the medical physicians I had worked with had viewed my condition as an untreatable mystery, Dr. Chalfant was familiar with the issues I was having. He went about adjusting my neck and my ear (yes, you read that right- my EAR) and over the course of a few sessions, my so-called untreatable "sea legs" are gone. Dr. Chalfant has earned my trust, along with my gratitude. I refer my clients, friends and family to him often. I highly recommend his new practice at chalfant family chiropractic! - J.G. So, I stopped by "Back to Wellness" now chalfant family chiropractic, just to check it out since the move. Wow! Such a great ambiance. State of the art equipment. A lot of thought for the customer was put in to the whole set up. I had a little tightness/pain in my hip and back when I arrived, but being a "social" visit, I didn't say anything. Fortunately for me, I got to try out one of their massage chairs....oh my. I got up and no more pain. I'd pay just to sit there and enjoy the company and the free education.  I highly recommend anyone looking for long term success, check out chalfant family chiropractic! You will NOT be disappointed. Like Buzz Lightyear once said, "To infinity and beyond!" Able to return to my active lifestyle! Through the aggressive treatment plan and therapy that was administered by Dr. Chalfant I was able to return to my active lifestyle. Before my visits with Dr. Chalfant began, I was in constant pain from severe sciatica. I had been to several other specialists with no success and was basically medicating my pain. Dr. Chalfant’s personal approach and technique are amazingly effective. They have enabled me to return to the quality of life I had enjoyed before. Thank you Dr. Chalfant and Kaci - G.O. May 19 2017 · Wow I loved my visit with Dr. Chalfant and Kaci. He has all the latest equipment andknowledge to help your over all health. My lower back bothers me often from an injury in my 20's. He gives me relief and I look forward to my appointments. Go see him!! He is the best!! Continuing to live pain free! I was a true nonbeliever in Chiropractic care until I met Dr. Chalfant. He explained the Chiropractic approach to healthcare and made me feel very comfortable. I used to suffer from numbness and tingling down my arm and into my hand. I have had no numbness and tingling for the past year and I have never felt better. It is wonderful to get up in the morning with no pain. I have continued maintenance/wellness care at his new office, so I can continue to live pain free! Thank you Dr. Chalfant! - S.
June 6 2017· Dr. Chalfant always goes above and beyond. He treats the whole body and looks for solutions other doctors might not think of. He truly cares and treats you as more than just a patient. May 8 2017 · Dr. Trevor is ridiculously friendly and extremely knowledgeable. He truly wants to improve your personal health in any way that he can. You will not find a more enjoyable chiropractic experience.